Excuse the tiny picture but it is appropriate in some ways given that this is one of those tiny sinks that you often find tucked into bathrooms where space is tight. 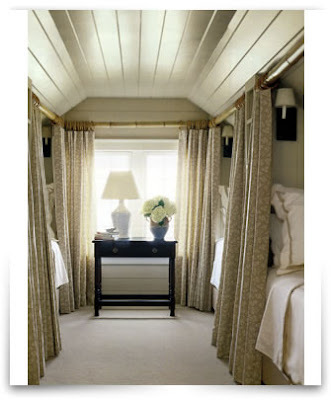 I kept the photo because I thought the choice of mirror was very clever giving great impact in a small space. 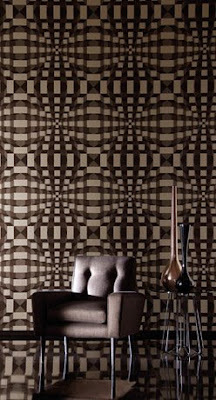 Identity is a new and interesting range from Harlequin including fabrics and wallpaper. I have to say that I don't usually include negative material here as the beauty of your own blog is that you get to put on exactly what you like. However, I was amazed by the variation in colourways in the collection and how differently they made me feel about the same pattern. So for the first time I am sharing a few shots that I personally am not so crazy about but also two that I like very much. See below and you will see what I mean. I suppose the moral of the story is never to write off a whole collection until you have seen the full range of colours. I get a number of Irish publications mailed to me in Sydney which is a luxury I really enjoy. Even though I read a lot online the power of print still reigns and I love flicking through my Irish Times magazine (equivalent to the SMH Good Weekend) and Image Interiors. 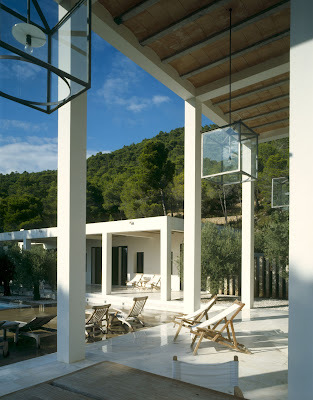 This fabulous villa in Ibiza was featured on the cover of Image Interiors recently and deservedly so. 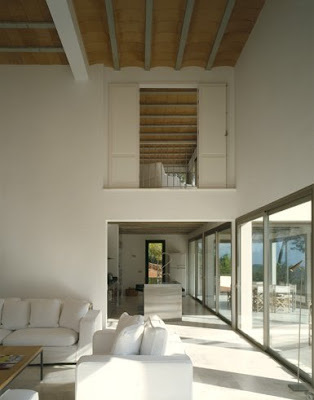 It was designed by John Meagher of de Blacam and Meagher architects. 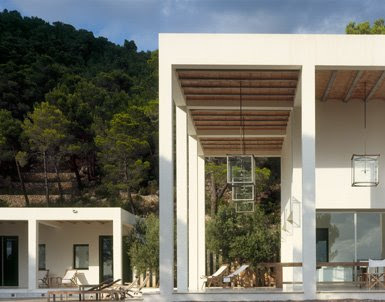 It is minimal without being sterile, and not just a pretty face, really functional as a holiday house with separate guest quarters - along by the pool which are rented out and a master suite upstairs. 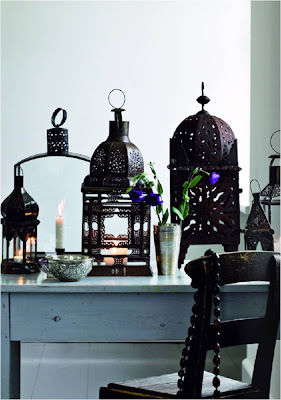 List of favourite things - the colonnade, the lanterns in the colonnade and the ceilings which are based on traditional style in the area of exposed beams and terracotta tiles. 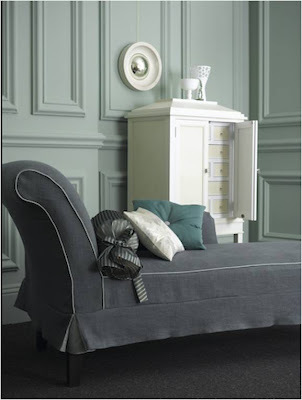 The greens and greys in the bedroom photographed by Dan Duchars are very restful and calming. I love the blind fabric and the deep grey carpet which the room can easily get away with given the huge window and glass doors. Personally I wouldn't want a canopy over my head when I am sleeping but maybe with such soaring ceilings you might feel a bit lost without one. 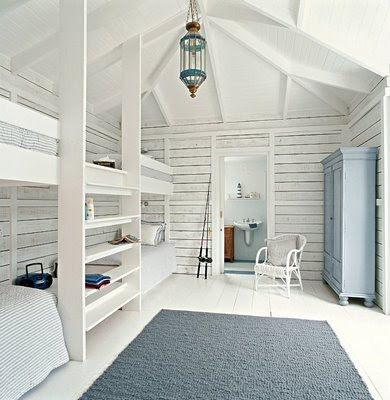 The bunk room at the bottom (from the latest Inside Out) prompted me to share my bunk room photo collection. 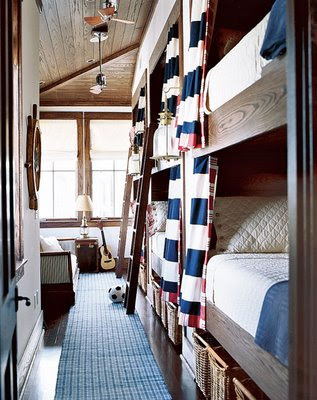 Bunk rooms fall into my ' when I win the lottery I will have a big holiday house and it will have at least one fantastic bunk room, maybe two . . . ' category - you get the idea. 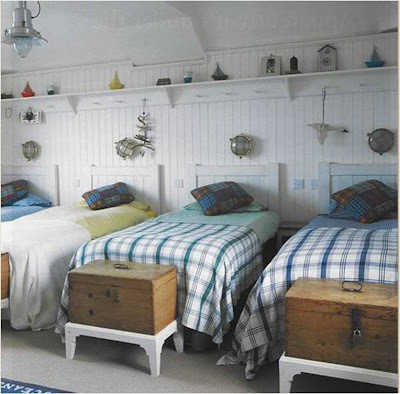 The airier designs below are probably better suited to an Australian holiday house but, having won the lottery, I would also have a holiday house in Ireland and those nice cosy curtains could work just fine !! 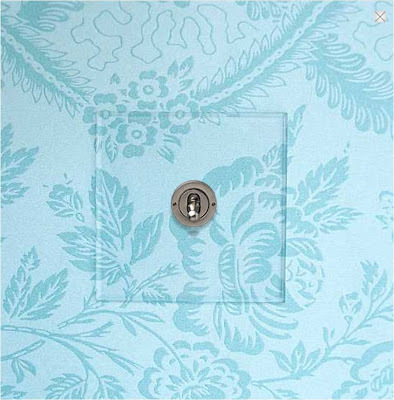 When I see the ad for the Invisible Light Switch it always makes me smile. A few years ago some friends of mine did a whole house renovation and selected these switches. 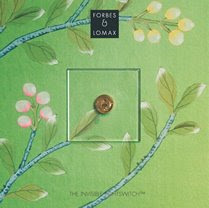 The switch is packaged with a piece of white paper behind the clear acrylic plate with the Forbes & Lomax logo and 'The Invisible Light Switch' in black letters on it. My friend arrived home one day to find the electrician happily installing the switches with the white paper behind them. Fortunately I don't think he had got through the whole house !! 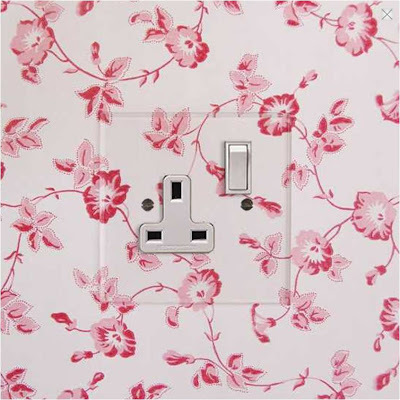 Definitely for those who are into fine detailing Forbes & Lomax do all sorts of switches and sockets including ones you can paint to match your wall colour, pewter, stainless steel and the (not altogether foolproof) invisible range. 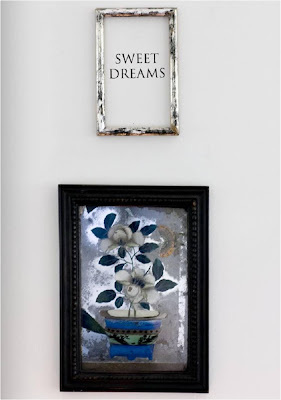 Another canny chalkboard idea - perfect for a fridge that is fully functional inside but looking a bit dented, scratched or dated on the outside. 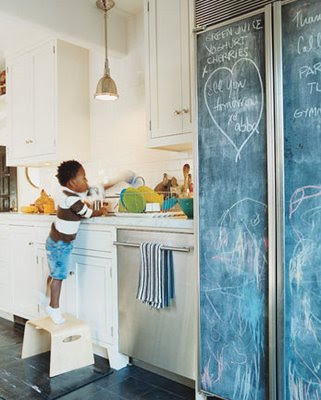 I am assuming you could either use board or stickers - chalkboard stickers might work better near handles. You could also go for chalkboard one side and magnetic surface on the other. 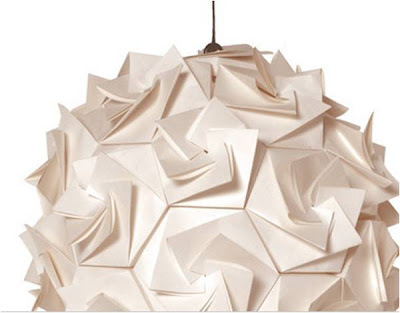 This is a very popular paper pendant light from Habitat in the UK although I noted on their website that they have some stockists as close to us as New Zealand. I personally think the Aperture is very beautiful and impactful closed (as in the first two shots below) but you can also open its origami like 'flowers' to scatter star shapes on your ceiling and walls which could be very pretty and effective also. 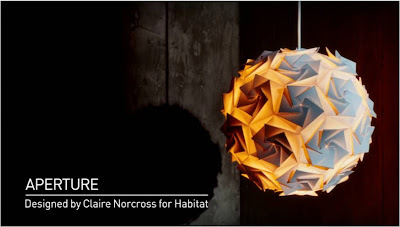 Claire Norcross's work has developed quite a following and Aperture is listed in the 'future icons' sections of the Habitat online catalogue - high praise indeed. Jenny Lee-Katz was featured on Design Sponge last week. 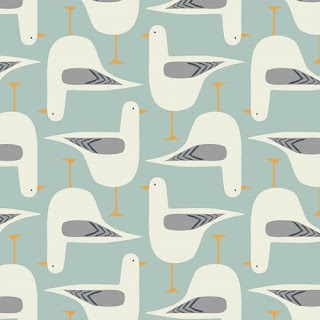 I am very partial to a bit of duck egg blue so I was immediately taken by the quirky seagulls print ( who are also sporting the very now mimosa yellow). 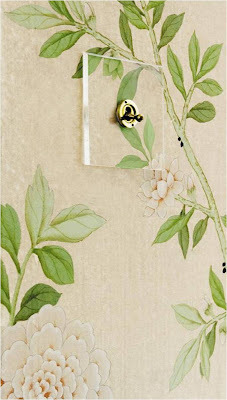 I would love to use this fabric in a beach house for cushions or bench seats or even just a table cloth. 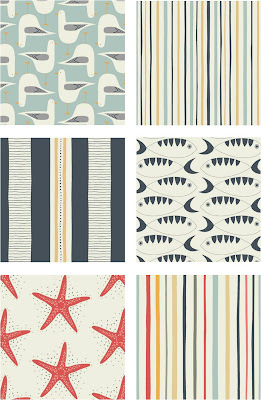 Further investigation on www.jennyleekatz.com revealed more beautiful fabrics from her latest collection Glan y Mor ( Welsh for seaside ) and lots of other covetable homewares and bags. Sadly my post rate has gone way down, I have been busy and never seem to be at home but I am determined to keep blogging as I enjoy it so much and get so much inspiration from other blogs !! 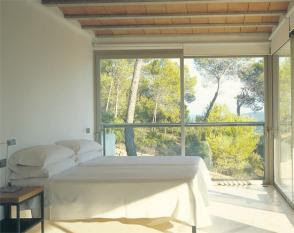 One of the things that is keeping me busy is my course work - I am doing the first year of a diploma in interior design. One of my projects is to research Australian style through the ages so I have been digging around the archives and galleries for shots like this. 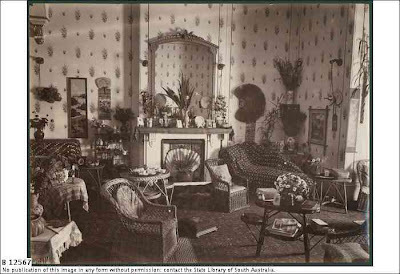 This is an 1880s living room in South Australia - although the wallpaper would not look out of place today. There are lights on the walls and chimney breast - maybe oil, possibly gas and I am not sure what the ropes on either side of the chimney breast would have been for. If anyone has any suggestions or inputs on this topic I would love to hear from you. Thanks! Sheila. 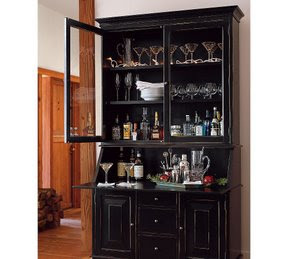 I hadn't really considered a black dresser until I came across these images. The first one with the black napery would make you feel like you were eating out at a cool restaurant each night. 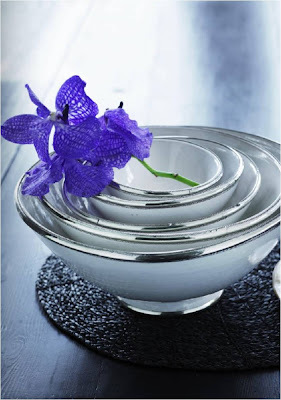 The martini glasses look very elegant in the bottom shot and I am also thinking that shapely white bowls and platters would look great displayed in a pure black cabinet. There is great line from Friends - "You dont have a TV ? What do you point all your furniture at ?" If we have a fireplace we also tend to point everything at the fireplace - which needn't always be the case as in the photo below. This is a 'note to self' post to remember this especially where a fireplace is not used that much. This mantlepiece is beautifully styled and there is a dinky little side table between the two gold backed chairs. 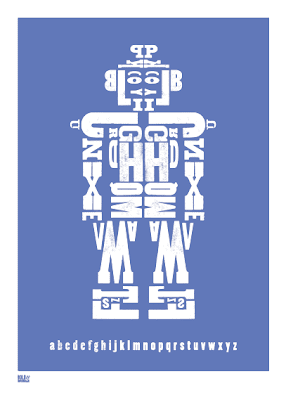 Bold & Noble produce a range of cool alphabet prints and height charts for kids. I love the robot and am considering getting one for my boys - robots have good longevity I think in boy world - so they might want to keep this one long after they have vetoed all my other design inputs to their bedrooms. 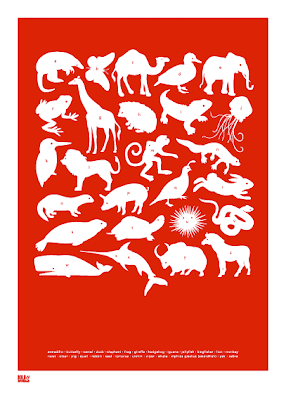 The animal alphabet is lovely also and would make a great gift - it took me a while and a lot of squinting to work out that U was for urchin. 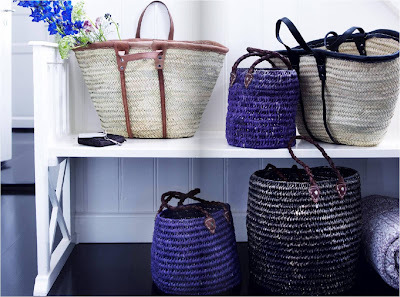 Although Bold & Noble are UK based it does have K for kookaburra for the Aussie kids. This ultramarine bluey purple is one of my favourite colours. 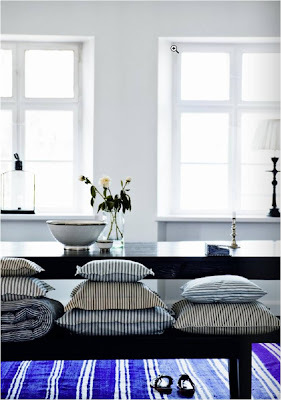 I love it for t shirts, it looks great layered with white or black but I have never used it at home. 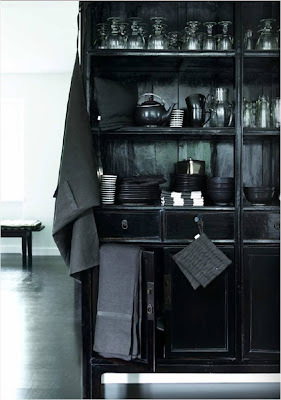 These shots from Tine K Home certainly inspired me. 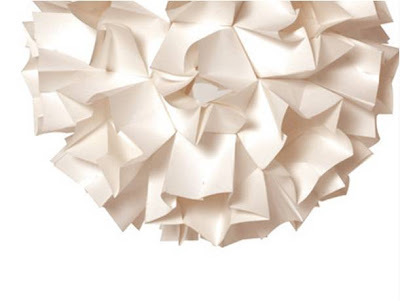 The whole catalogue is full of great styling and highly desirable homewares. Enjoy and have a lovely weekend ! !